On this page I'll include an annotated list of all the Heisie film. I'll include a synopsis and comments on each film. In Godzilla 1985(1984 in Japan), a fishing trolly is lost at sea. They run into Godzilla and that is the last we see of them for a little while. A reporter discovers the ship and finds the entire crew has been killed ny mutated sea lice. He is attacked by one of the parasites, but is saved by the only survivor on board, who was hiding at the time. In the first sequal to Godzilla 1985, Godzilla gets the strangest foe ever imagined. A cleaning crew is called in to pick up Godzilla's mess after his last attack. Agents from Biomajor steel some Godzilla Cells and shoot down everyone in sight. The agents are killed by another agent from the fictional country of Saradia. The agent takes the cells back to Saradia. Dr. Shirigami is the man who is assigned to work with them. Biomajor plants a bomb in his lab, which kills his daughter. 5 years later he is asked to work with them again. He refuses at first, then aggrees. But only If he is allowed to experiment with them. He screws around with the cells and accidently creates a mutant plant. At night a pair of agents from biomajor sneak into Shirigamis' lab. They are killed by Biollante, who escapes into a nearby lake. A pscycic, named Miki Segusa, finds that Godzilla is active inside Mt. Mihara. She also finds where Biollante is hiding in the lake. Biollante emerges from the water and can be seen by everyone. She is found to have the spirit of the Dr.'s daughter in it. Meanwhile Biomajor plants a bomb in Mt. Mihara. 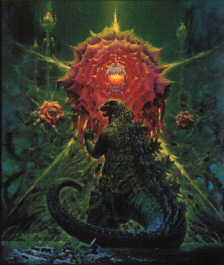 They send a ransom note to government officials, saying they want Anti Nucular Energy Bacteria, a new type of bacteria that prooves to be affective against Godzilla. The bomb is set off by accident and Godzilla is freed. I think you can predict what happens next. I won't give the ending away for this, so you will have to see it for yourself. 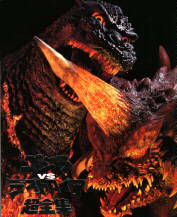 My favorite Heise movie is without a doubt, Godzilla Vs. Destoroyah. 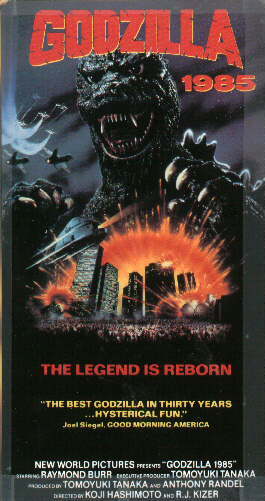 I love this movie for alot of different reasons, mainly for Godzilla's death. It was so skillfully done and tearful, a completely memorable scene. Destoroyah is an awesome foe for the Big-G. And plot is well thought out. Best G-Movie ever! In Godzilla Vs. Destoroyah, Godzilla becomes over-radiated and is glowing red. Little Godzilla is thought to be dead because Baz island blows it's top, which is what caused Godzilla to have to much raiation. 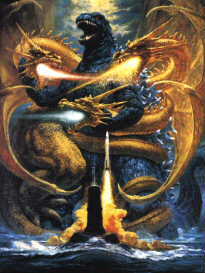 Meanwhile, human sized monsters wreak havok in Tokyo, killing a squadren of soldiars. The military is called into action, but it is destroyed when the creatures combine into the Aggragate Destroyer. Little Godzilla is found also to have mutated into an adult, now called Godzilla Juniour. 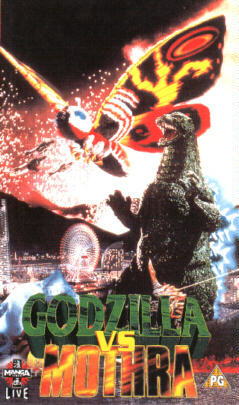 Miki Segusa lures Godzilla Junior so Godzilla will follow him and be killed by destroyer. 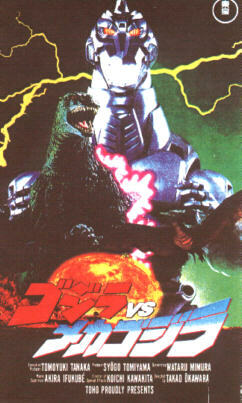 After a very tough battle, Godzilla J.
defeats Destroyer and meets up with Godzilla. Destroyer mutates into it's adult form and kills Godzilla Junior. The military defeats Destroyer. Godzilla then undergoes a meltdown and dies, which is the most powerful moment in the film. ***** five stars out of five.